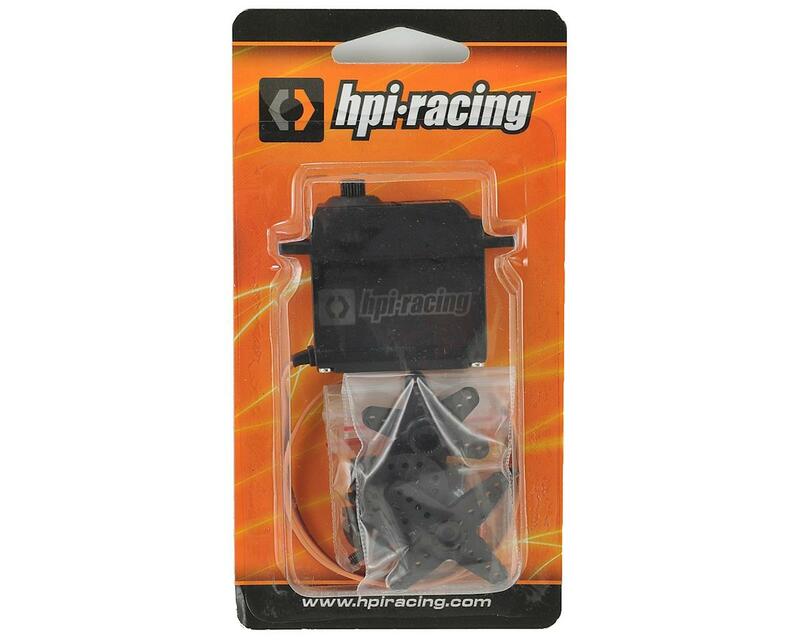 HPI SS-20WR Water-Resistant Servo. 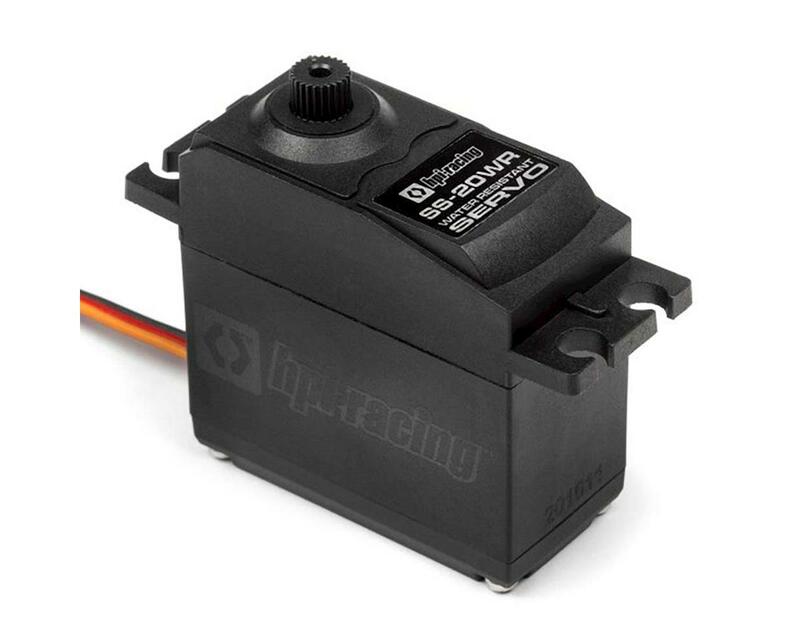 This water-resistant servo is the replacement plastic gear servo for a variety of HPI vehicles. It is ideal for bashers and racers looking for a tough and durable servo that can be used in wet conditions (e.g. rain, snow, puddles). NOTE: This servo is water-resistant only, meaning it is resistant to splashes and brief contact with water. It is not waterproof and therefore not suitable for submerged use. Before driving in wet conditions, make sure that all electronics fitted to the vehicle are safe to use (marked as water-resistant or waterproof), or that they are fully enclosed and protected from water and moisture (such as in a sealed receiver/battery case). Fans mounted on speed controllers are not water resistant - we recommend to disconnect the fan from the ESC before driving in wet conditions and allow it to dry fully before reconnecting the fan power. Lubricate exposed metal drivetrain parts such as bearings, outdrives and diff shafts before driving in wet conditions. Motors are not intended for submerged use and may be damaged if used when under water. After driving in wet conditions, make sure to rinse off dirt and any corrosive liquids like saltwater with plain water and re-lubricate metal drivetrain parts.